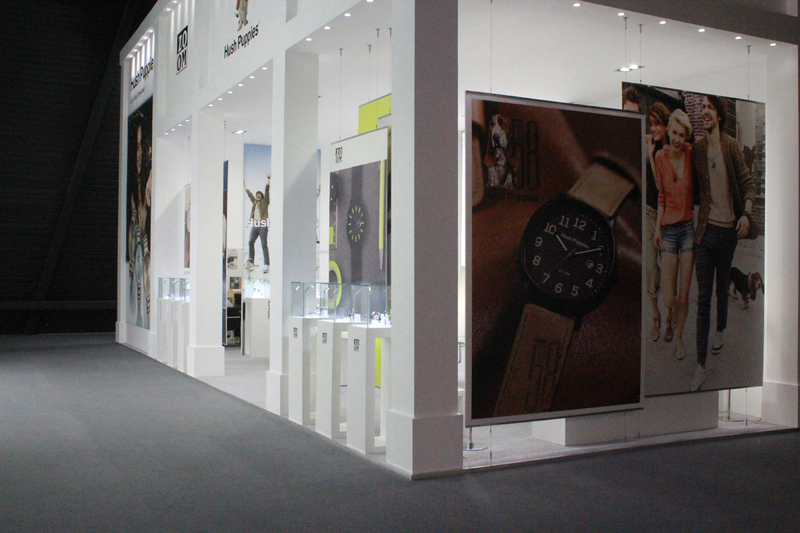 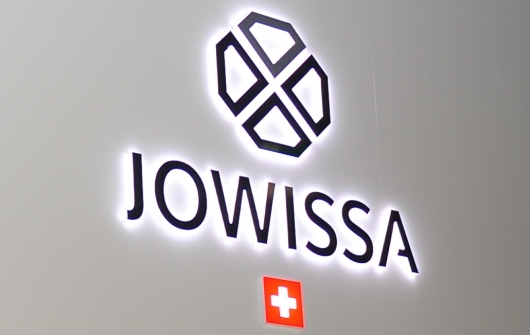 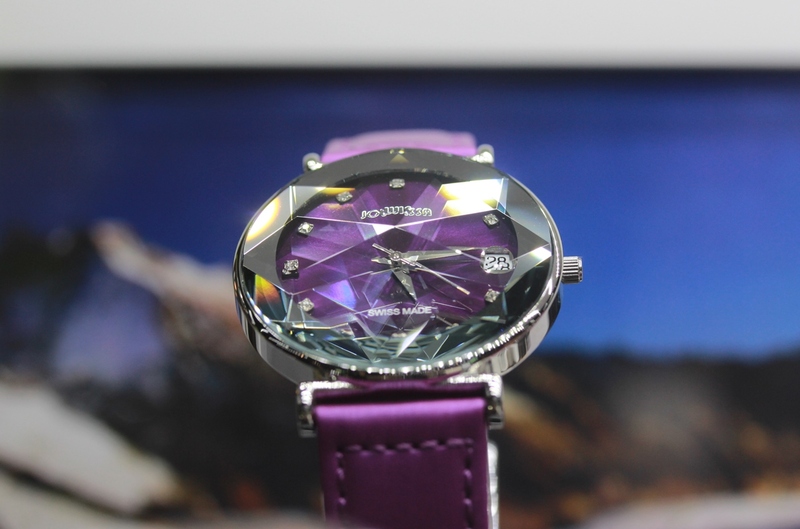 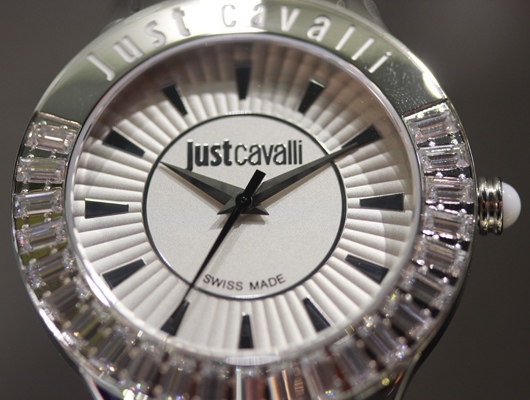 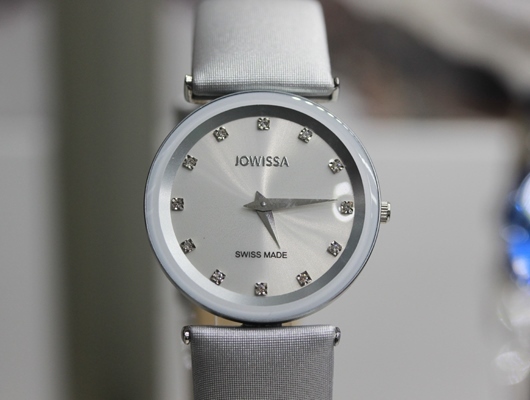 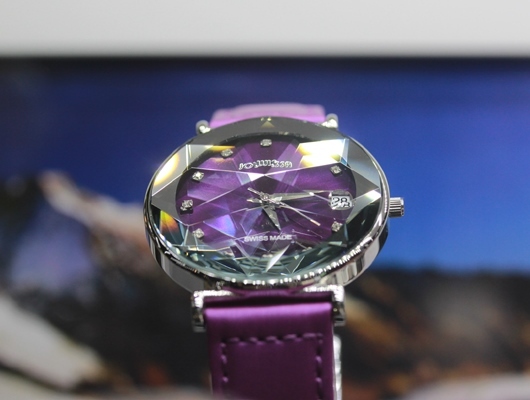 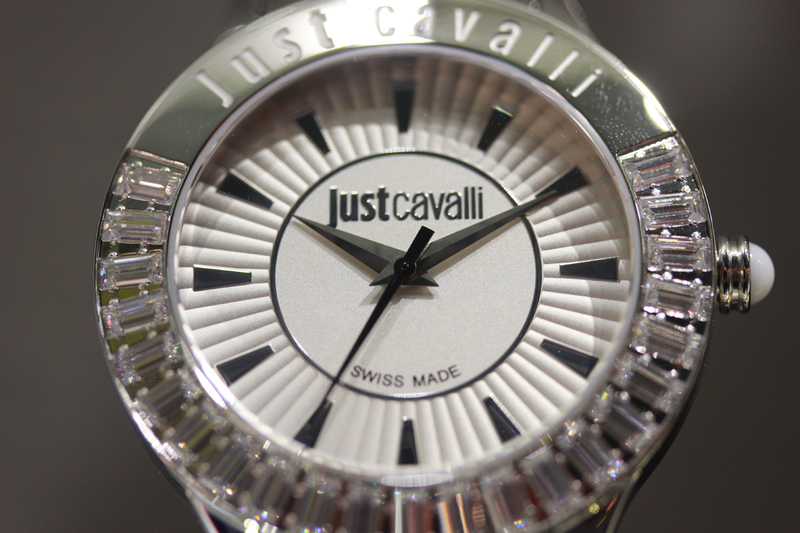 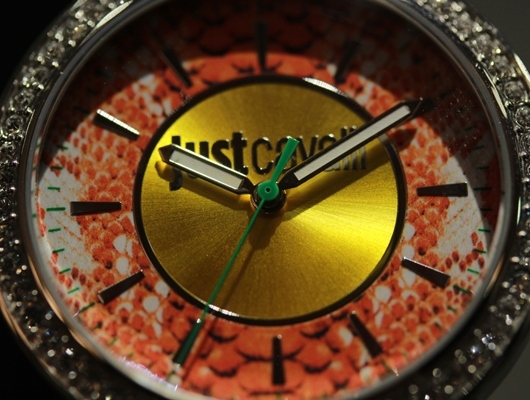 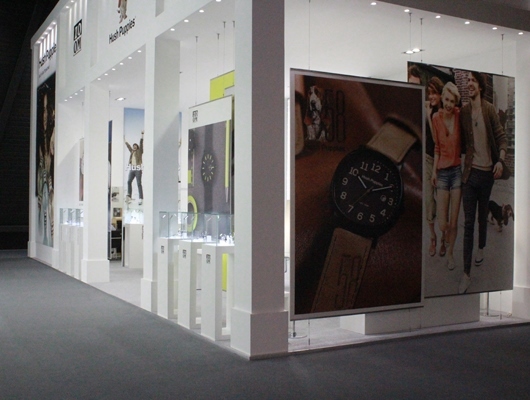 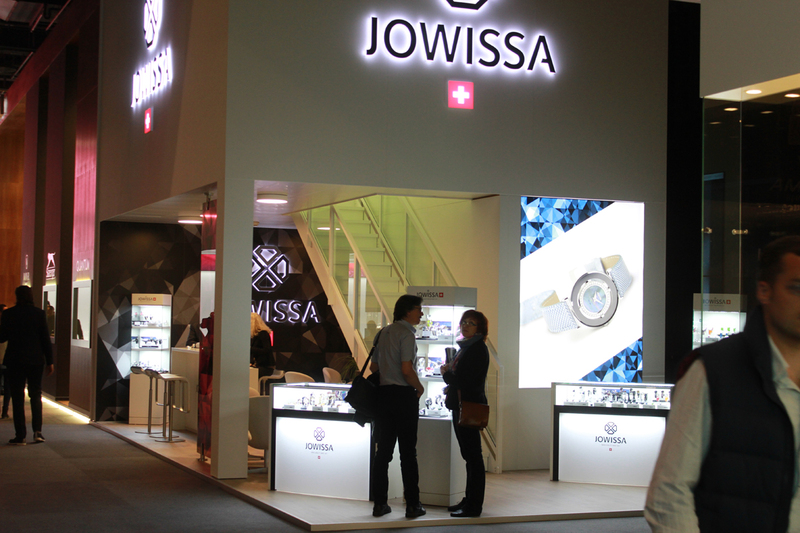 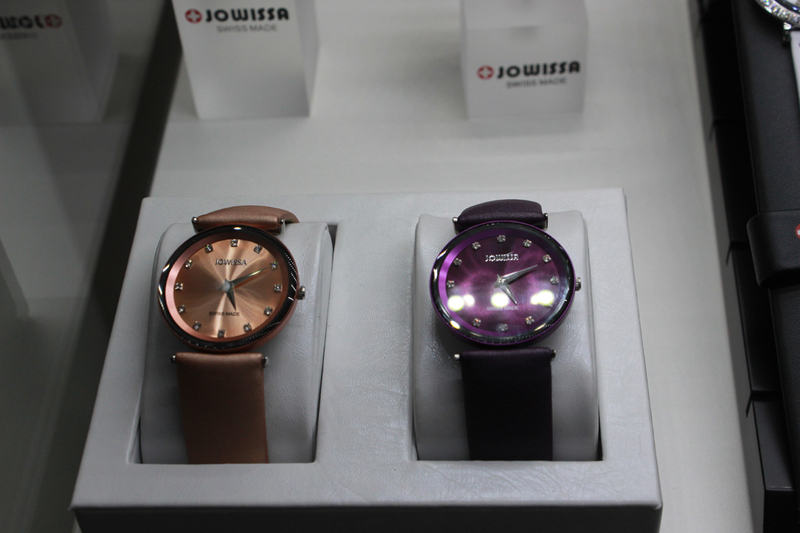 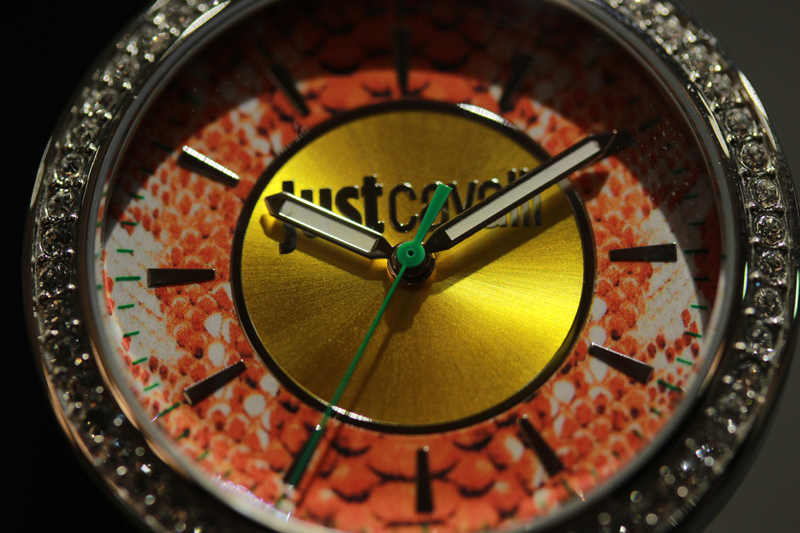 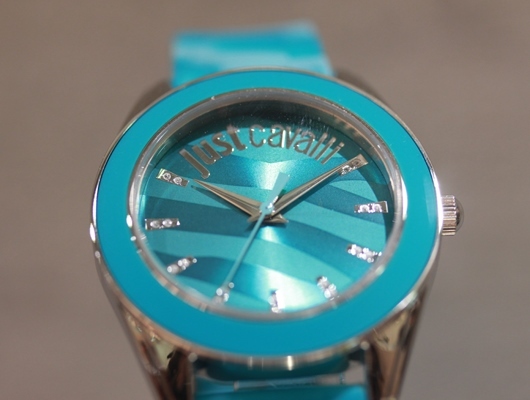 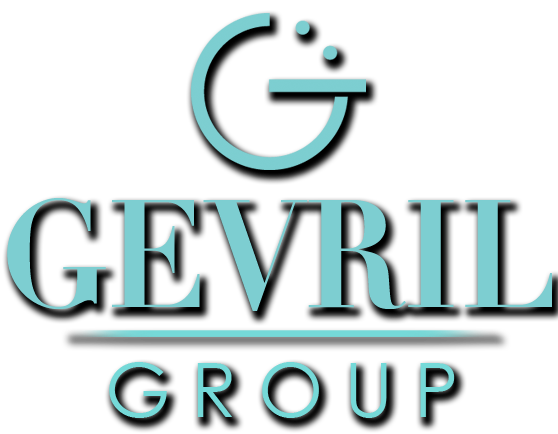 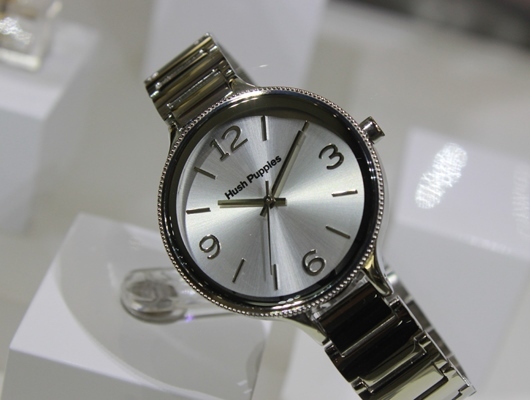 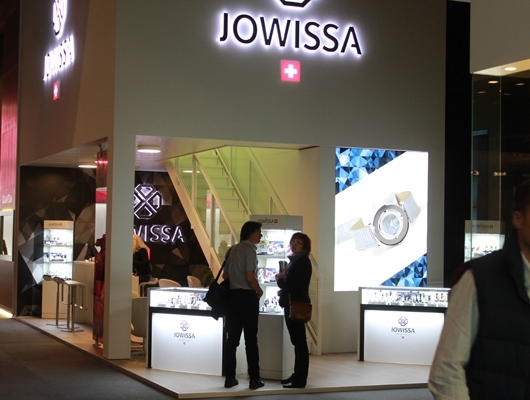 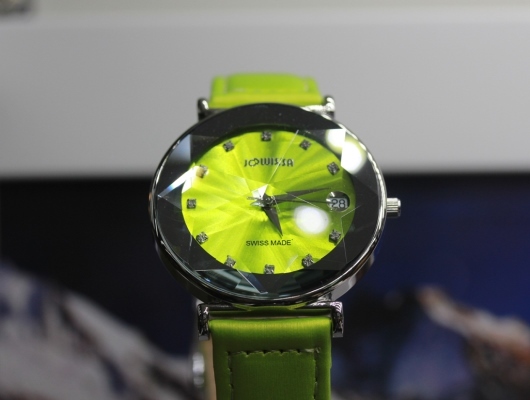 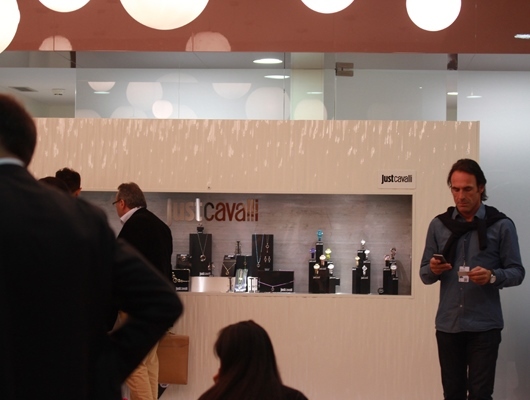 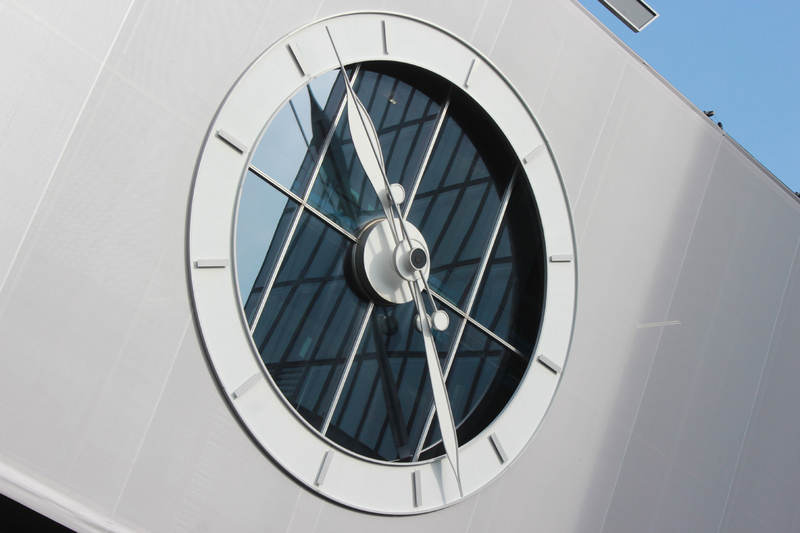 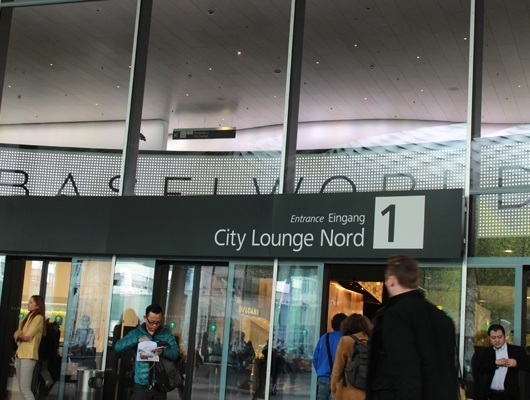 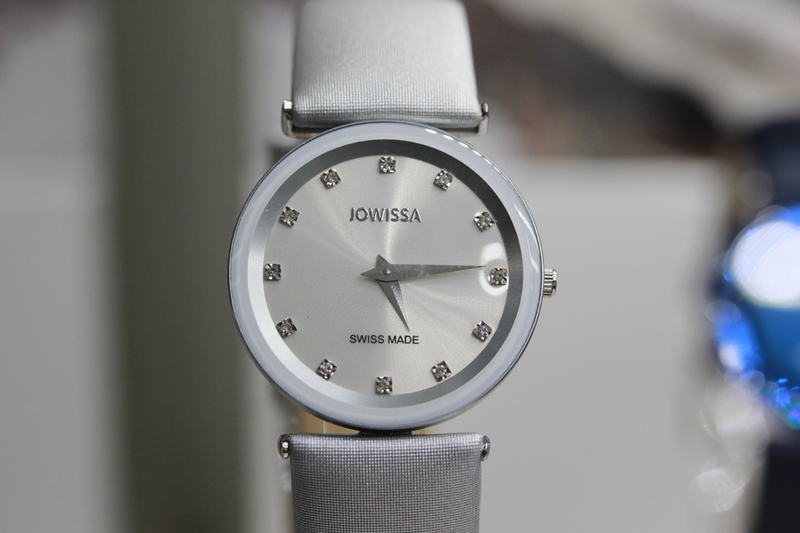 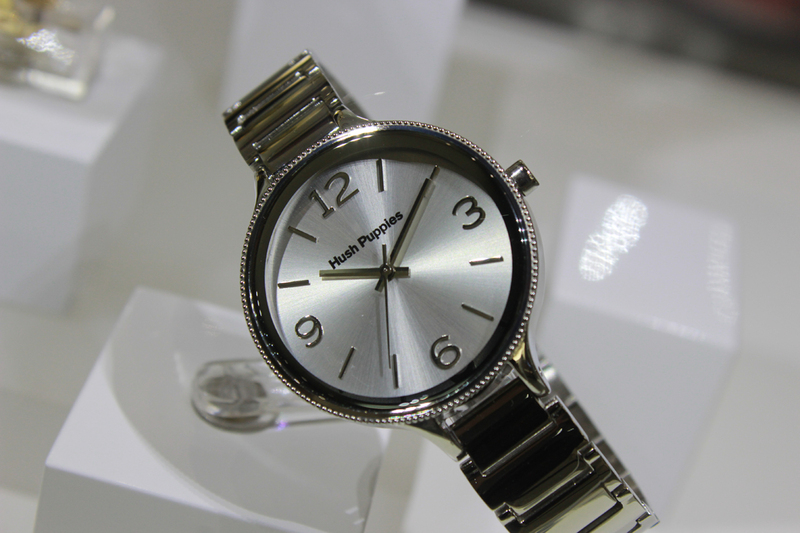 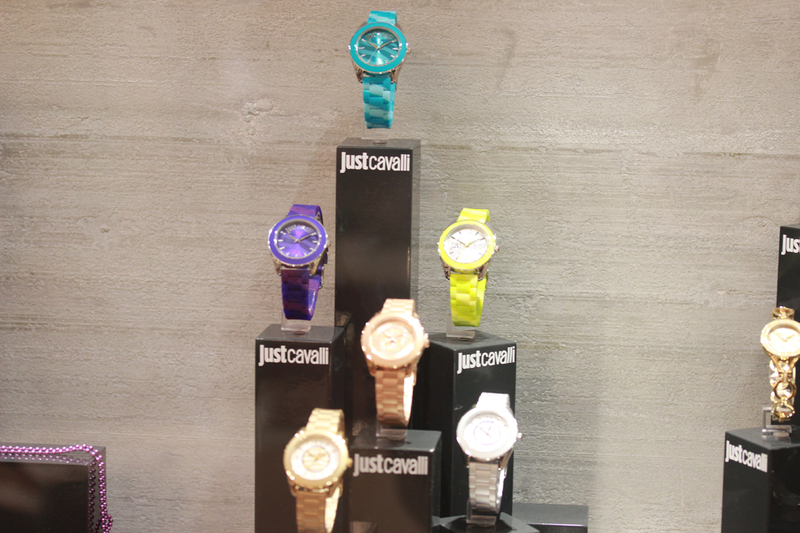 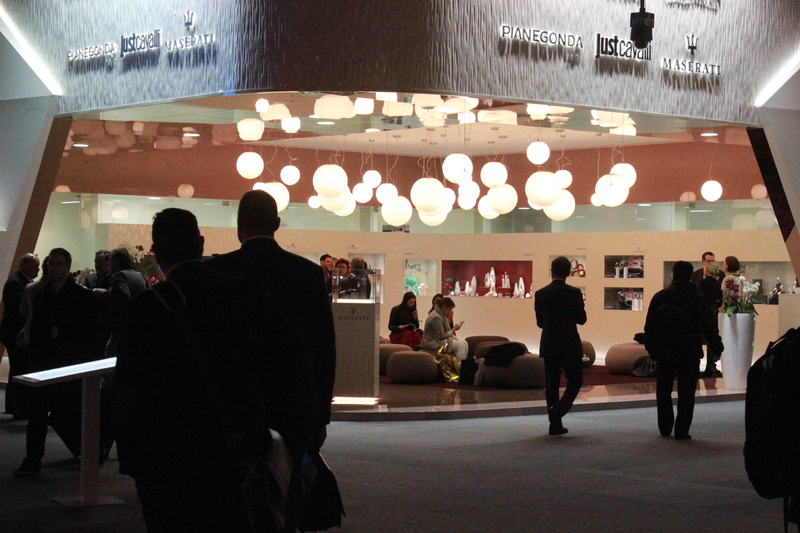 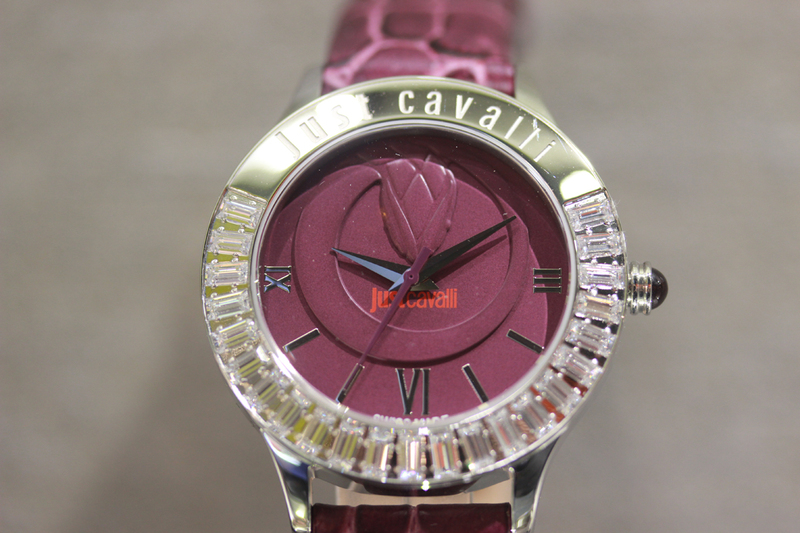 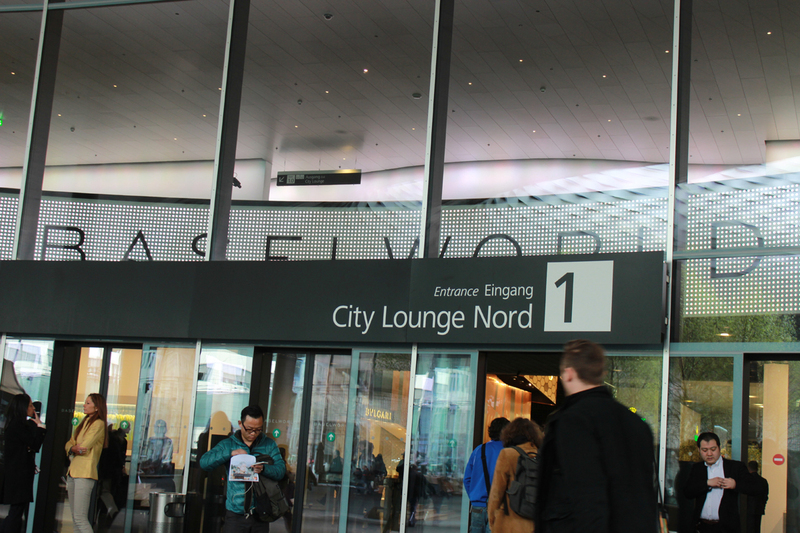 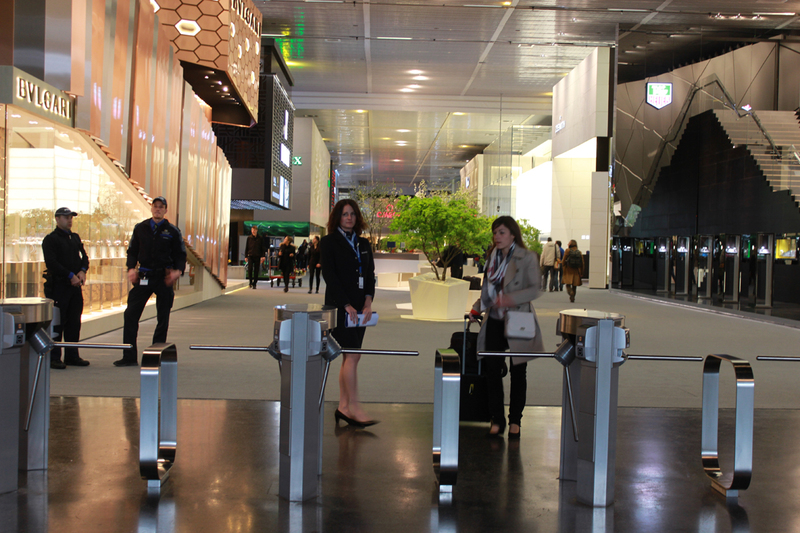 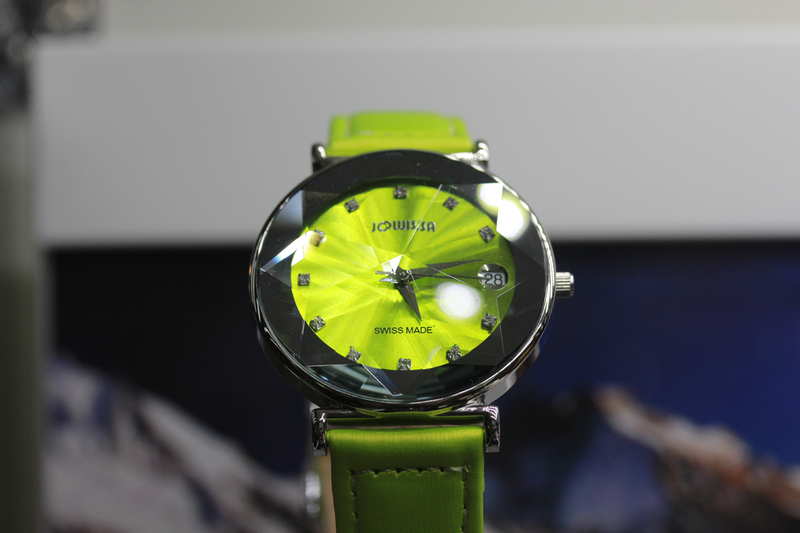 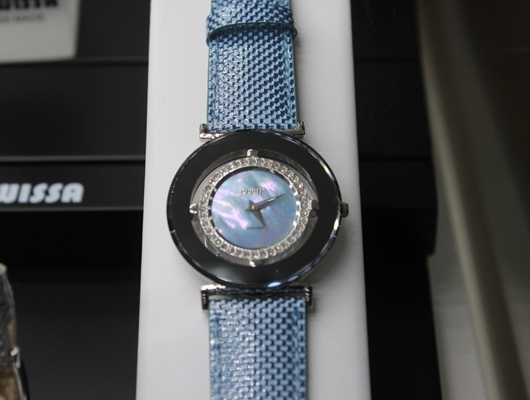 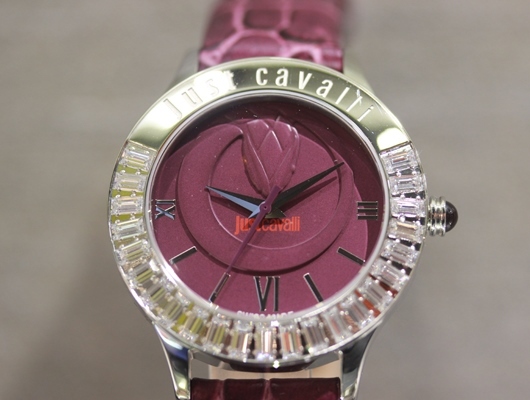 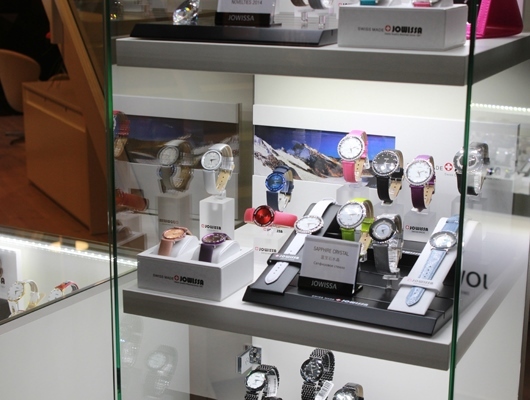 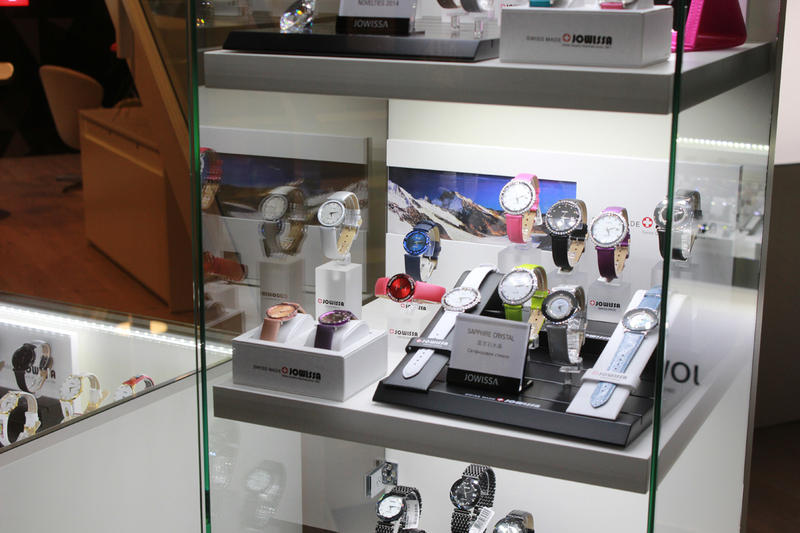 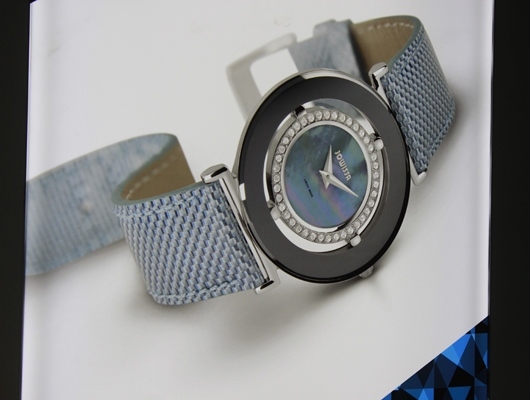 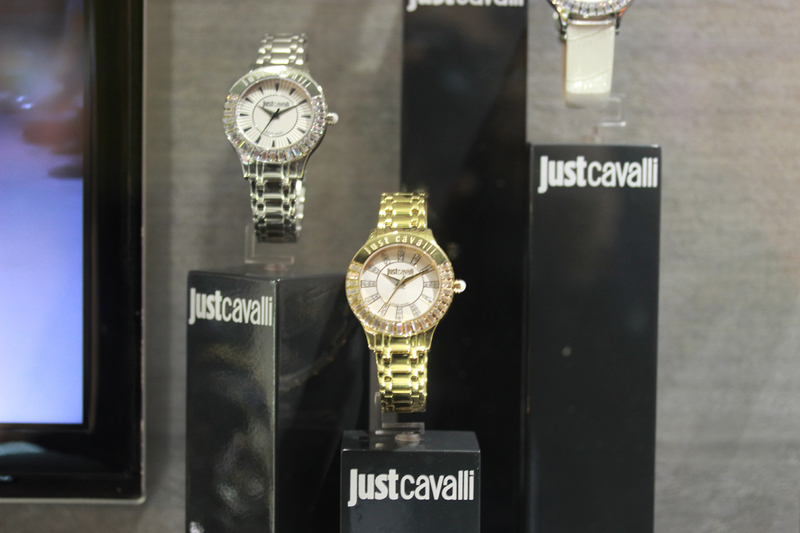 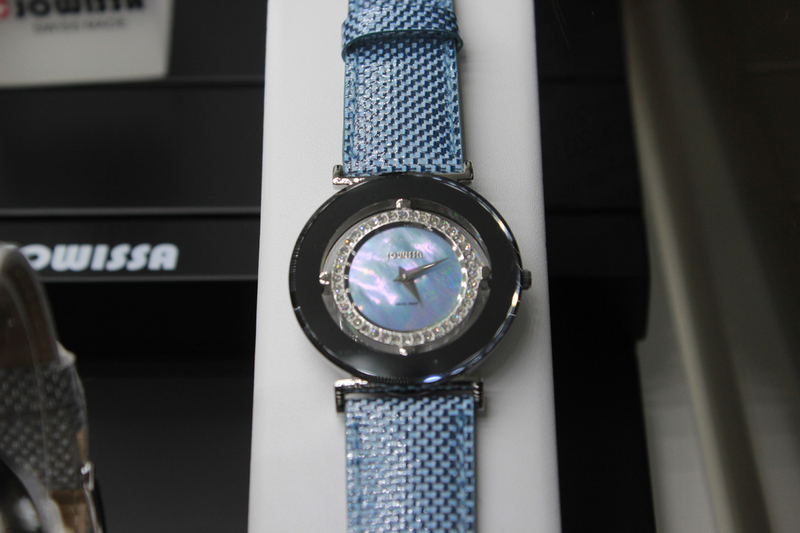 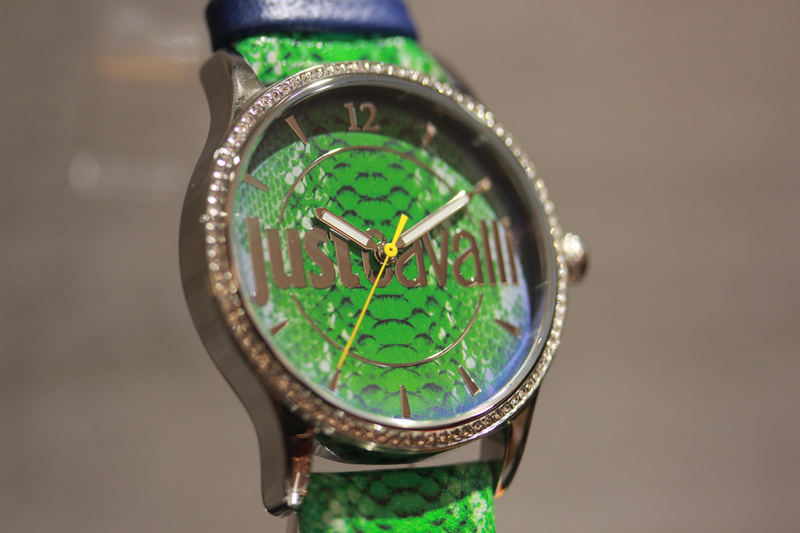 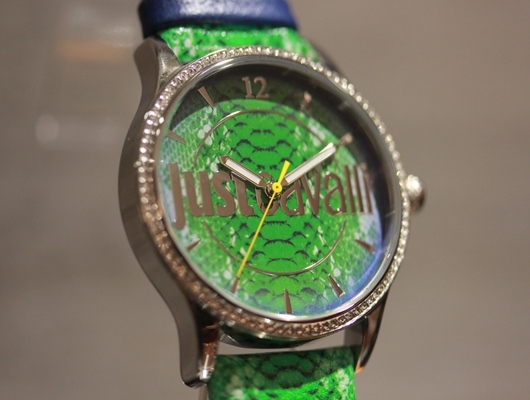 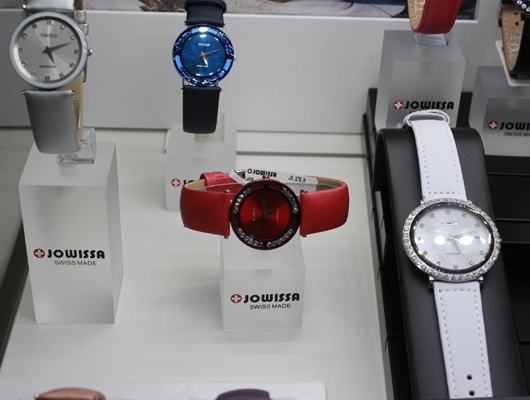 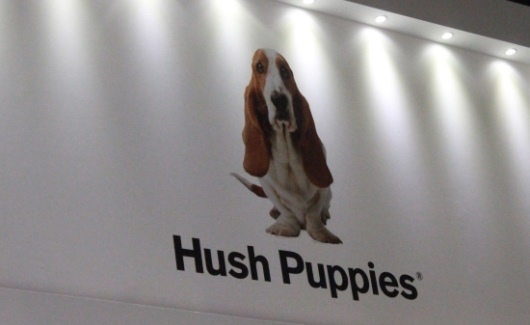 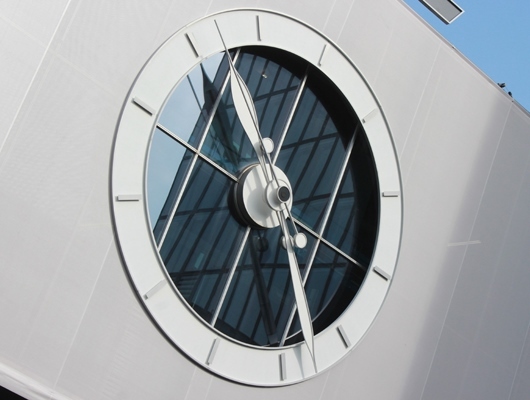 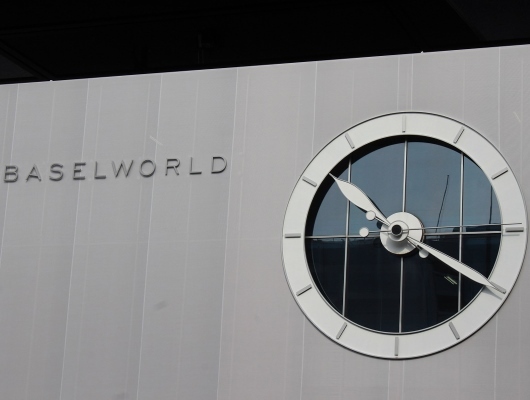 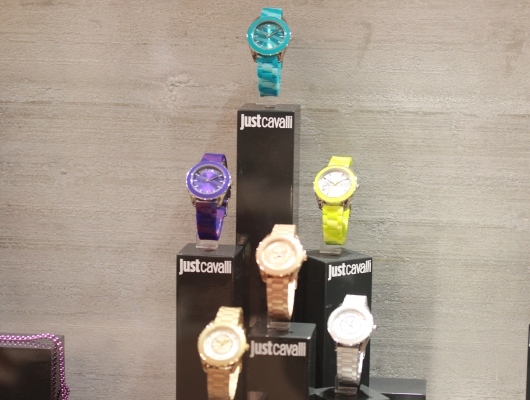 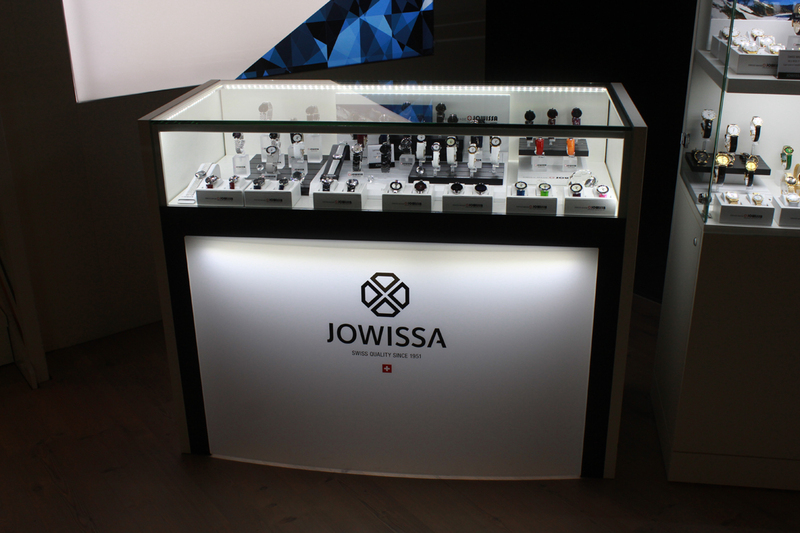 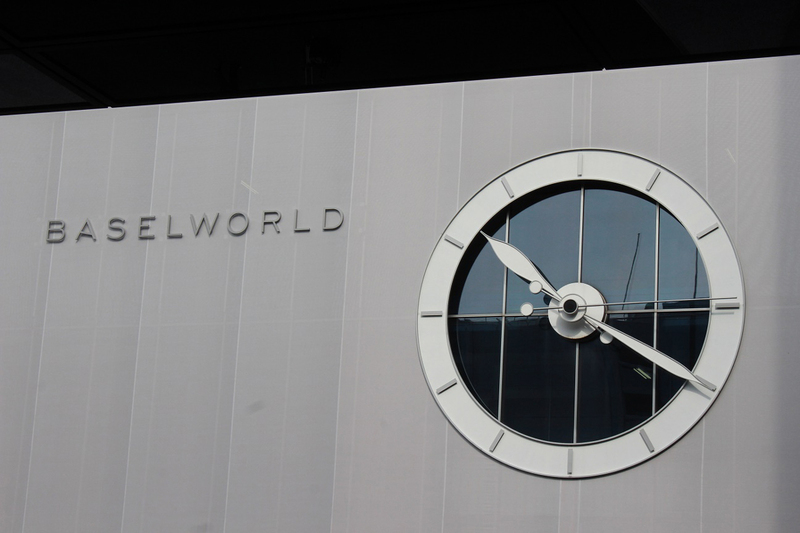 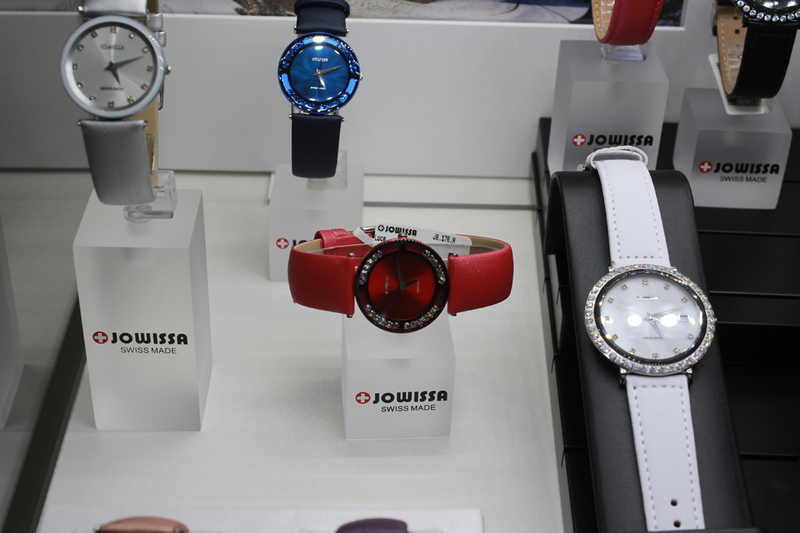 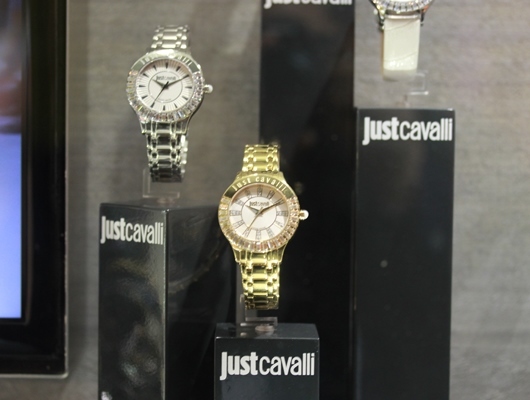 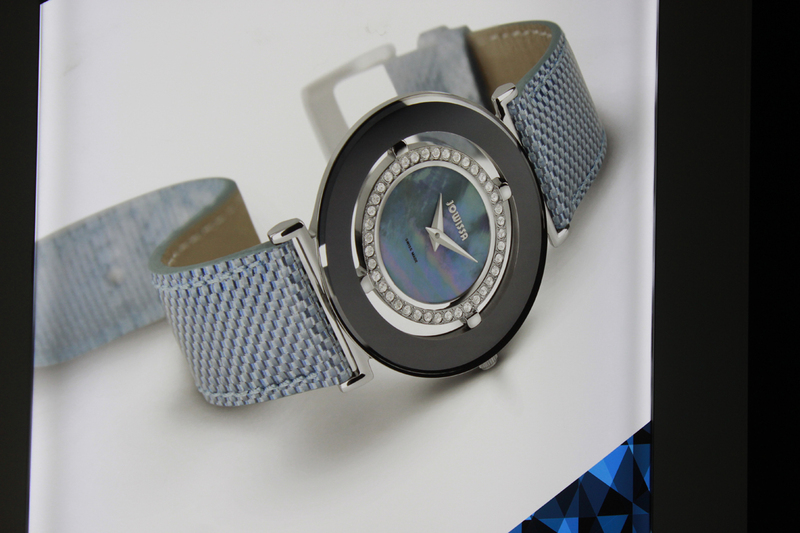 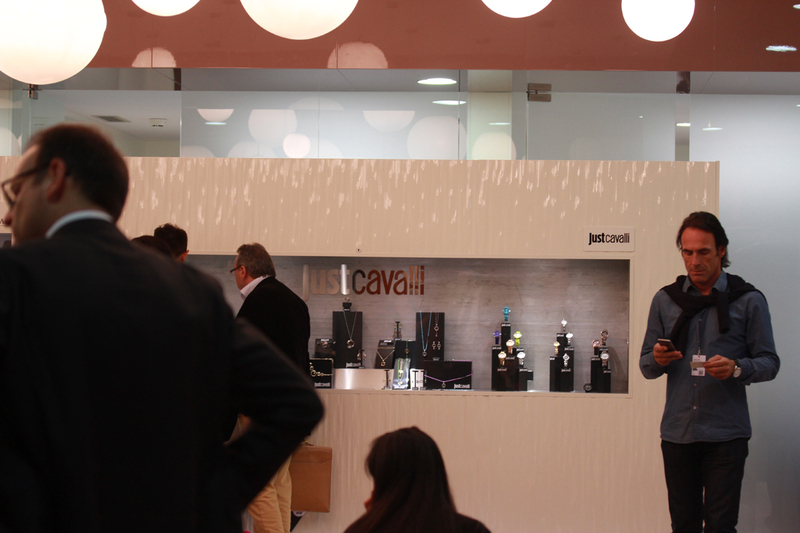 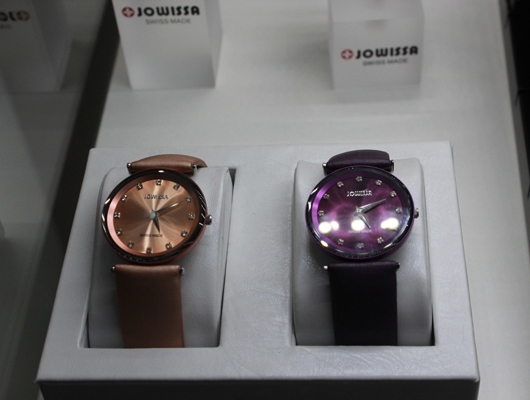 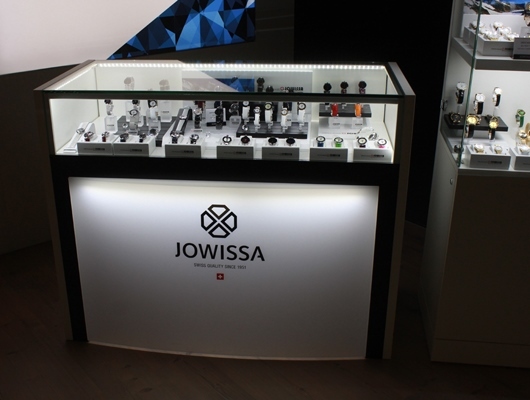 The annual Baselworld Watch and Jewelry Show can have a huge influence on the success of any watch brand. 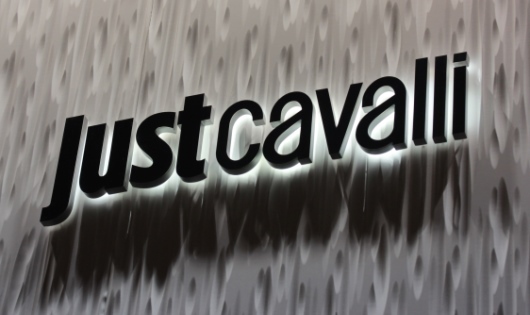 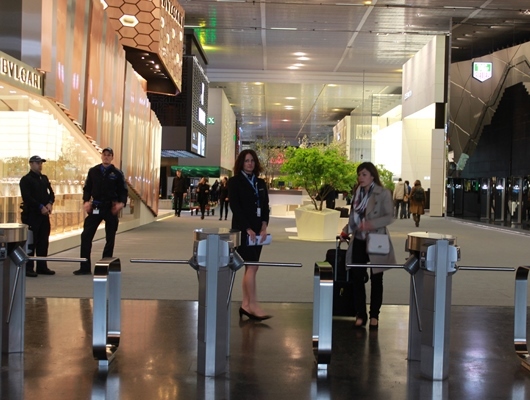 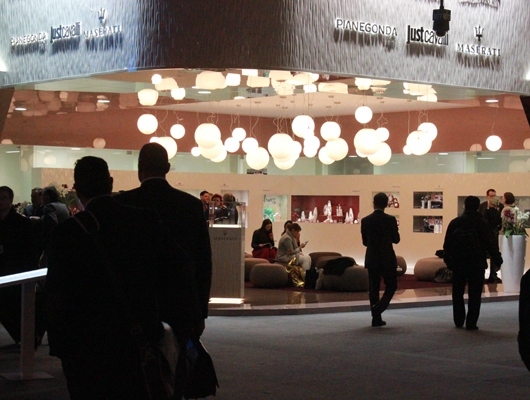 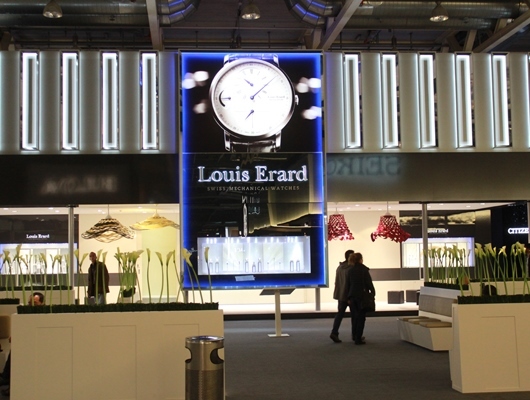 With estimates that 80 percent of global watch and jewelry sales are generated at Baselworld, success at this influential trade fair can be critical for a small company like Louis Erard. 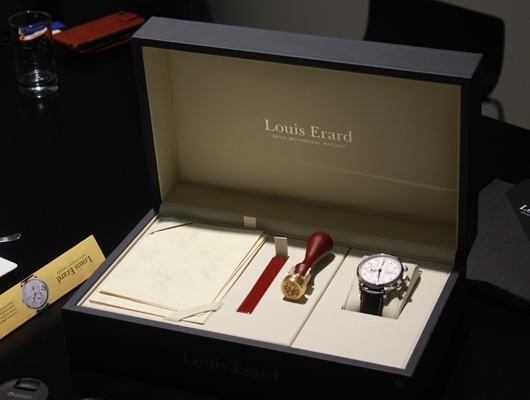 With the 42nd annual Baselworld Fair already a memory in the eyes of visitors, it is abundantly clear that Louis Erard dazzled the watch industry again. 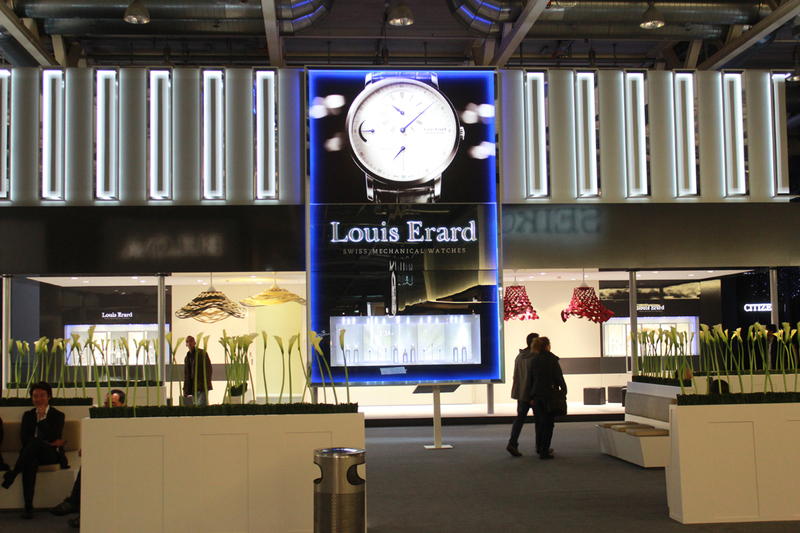 The stunningly beautiful Louis Erard booth was well attended, and visitors were delighted to learn that the 83-year-old brand was continuing their policy of manufacturing high quality luxury watches at a reasonable price. 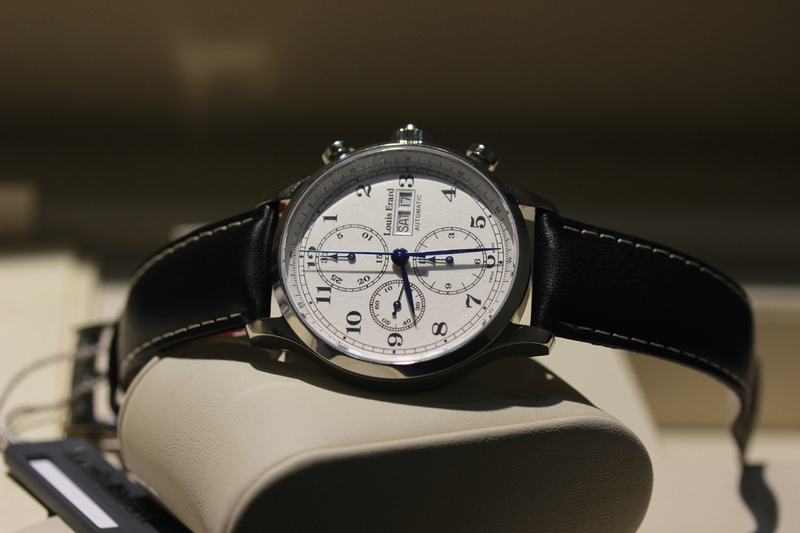 New for 2014 were several superb all-mechanical 500-piece limited edition timepieces and more of the brand’s first quartz watch collection. 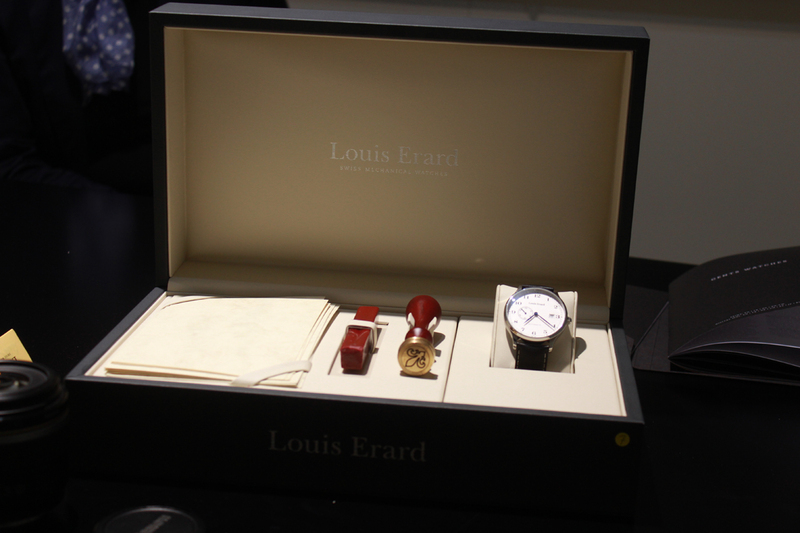 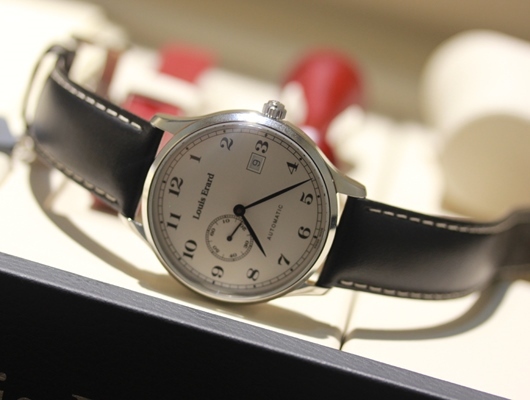 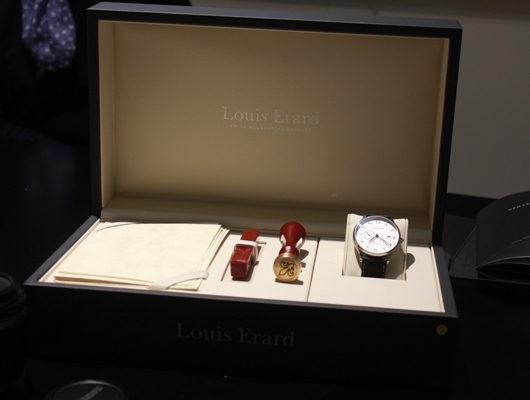 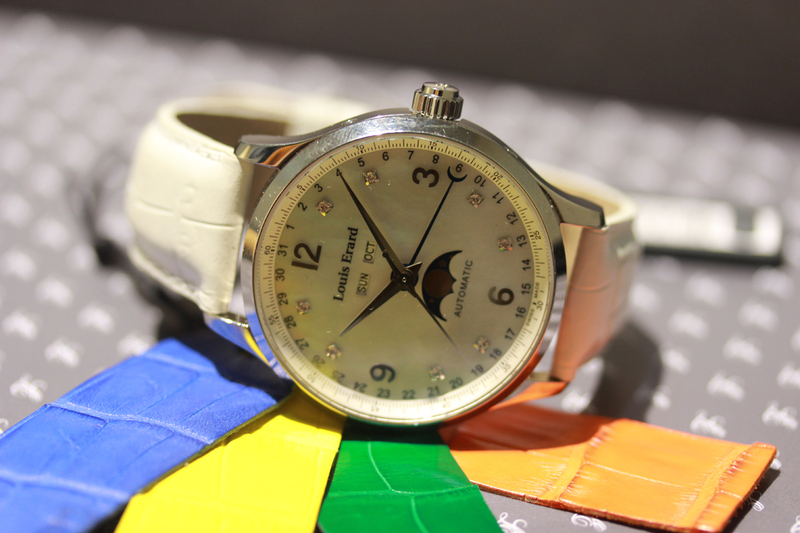 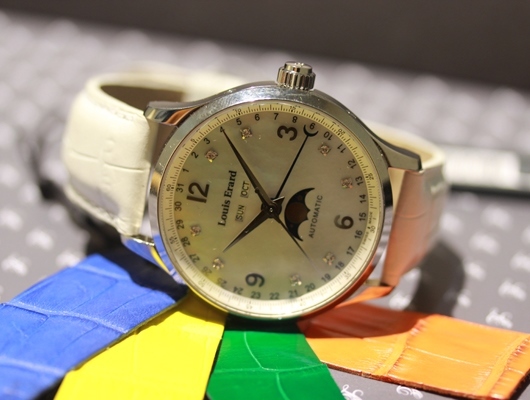 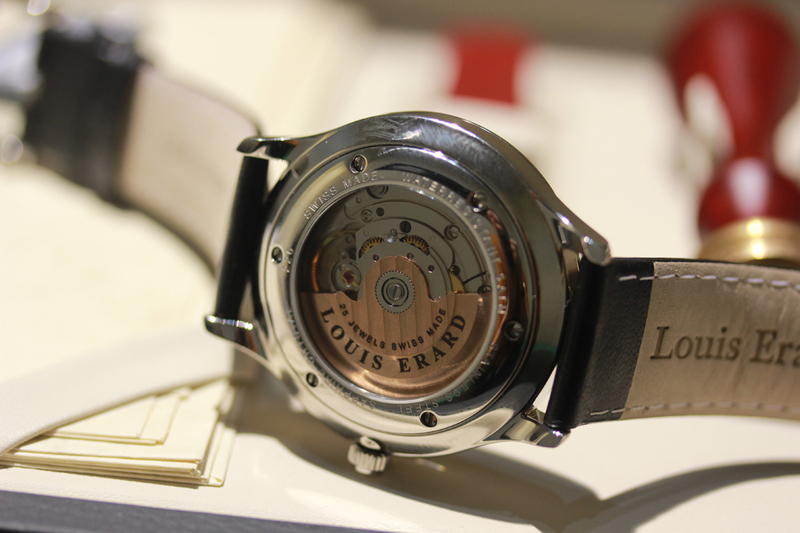 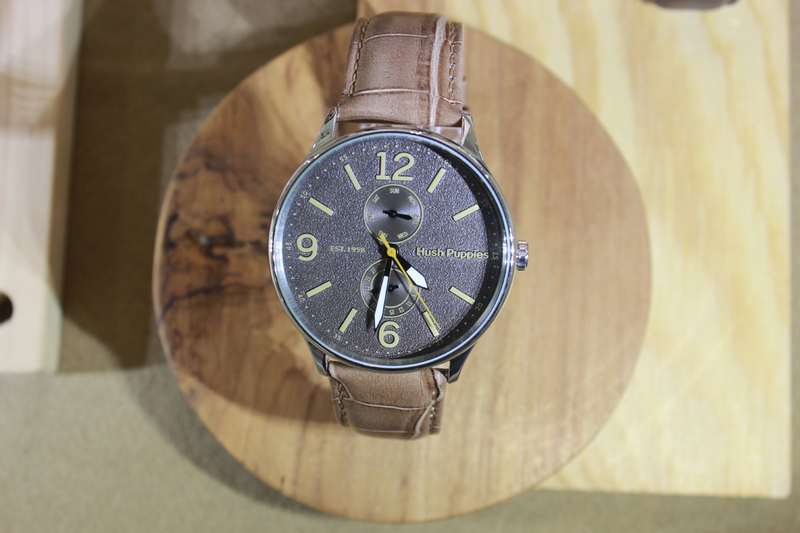 Notable at Baselworld were several exciting new additions to Louis Erard’s nostalgic 1931 Collection. 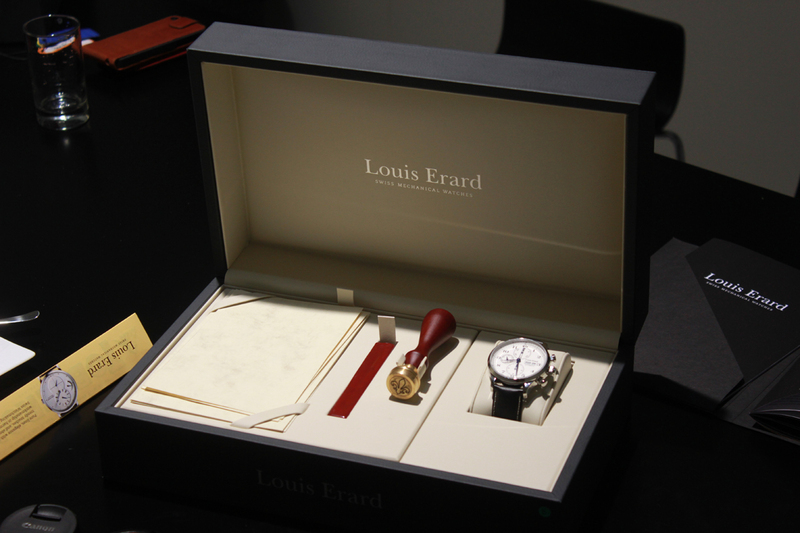 Each of these vintage designs has been strictly limited to 500 pieces worldwide and comes in a special presentation box. 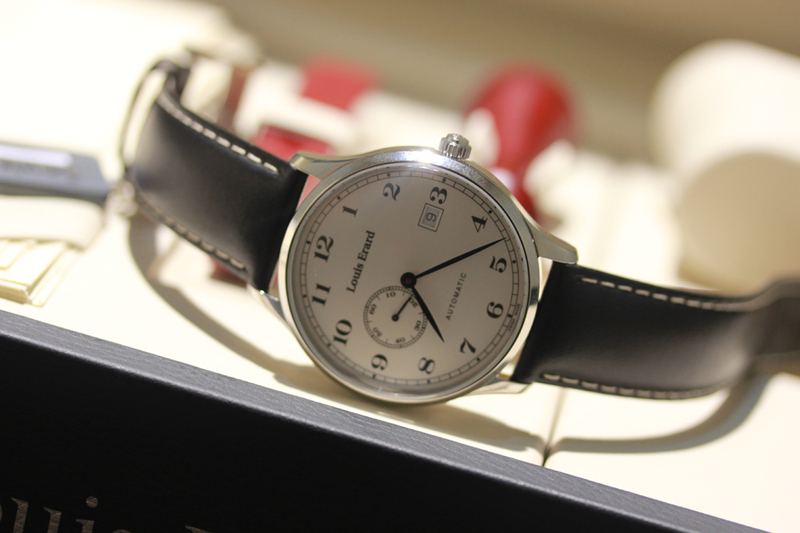 The 1931 Vintage Small Seconds 66 226 AA 01 features a beautiful silver-tone dial with a small seconds sub-dial at 9 o’clock and easy-to-read date window at 3 o’clock. 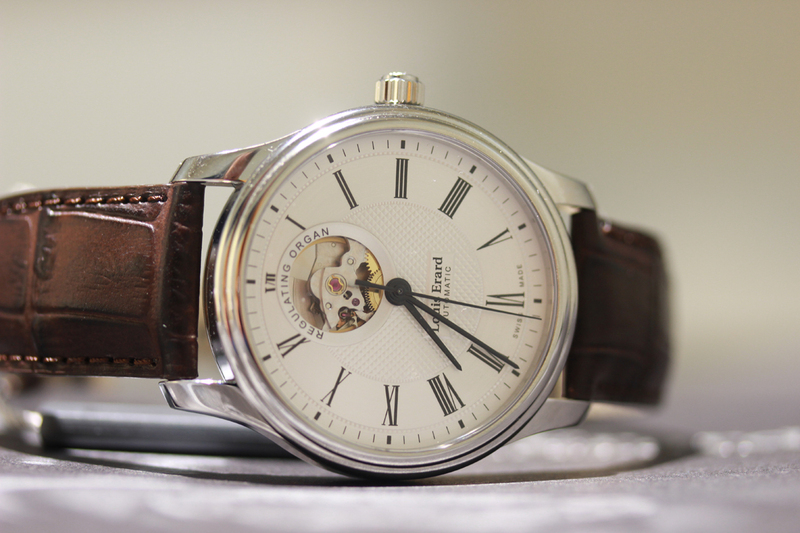 A premium Sellita SW-290 automatic movement powers the handcrafted watch, which includes an exhibition back to view the decorated oscillating weight and individual edition numbers from 1 to 500. 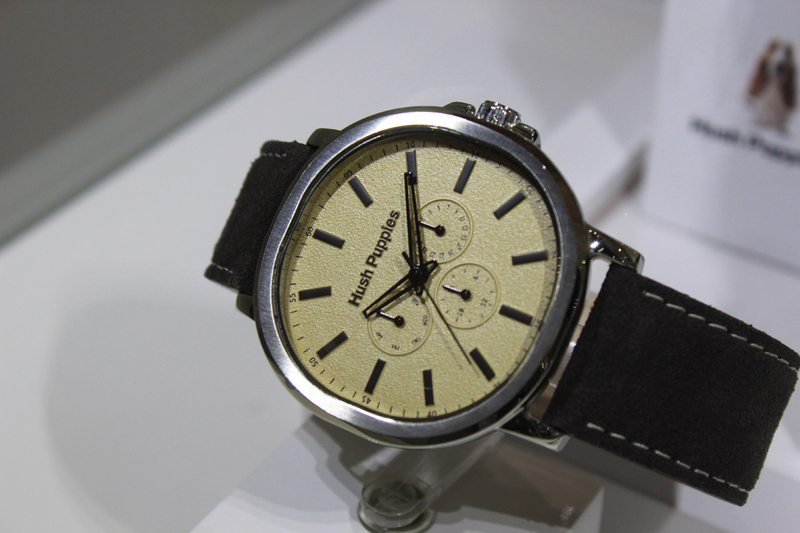 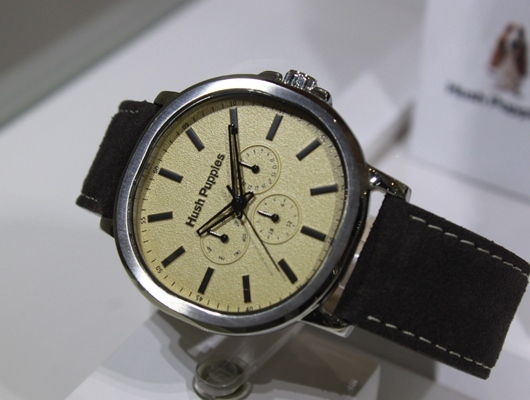 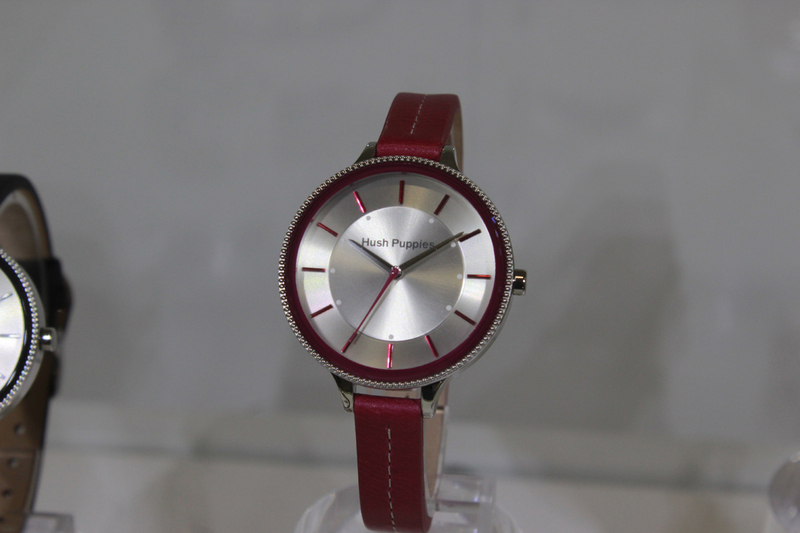 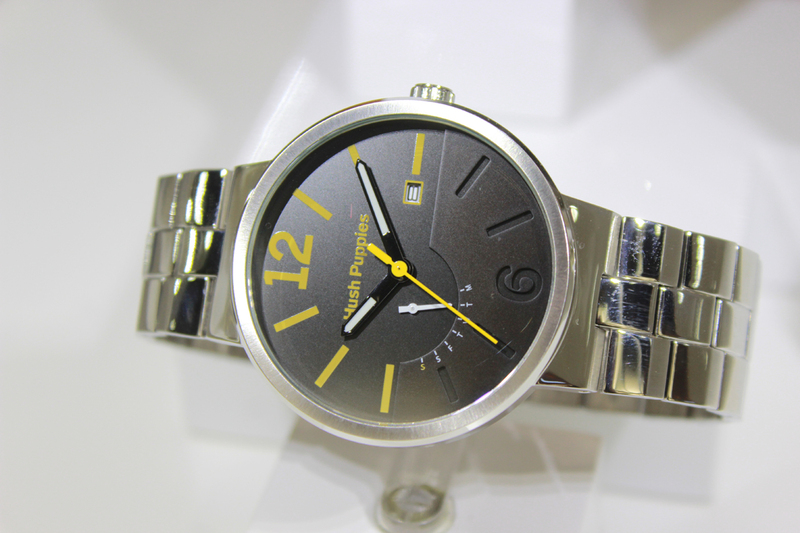 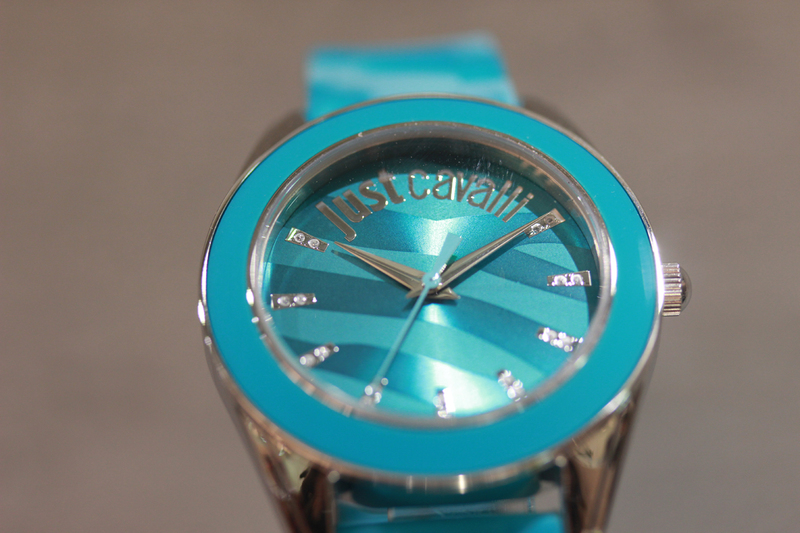 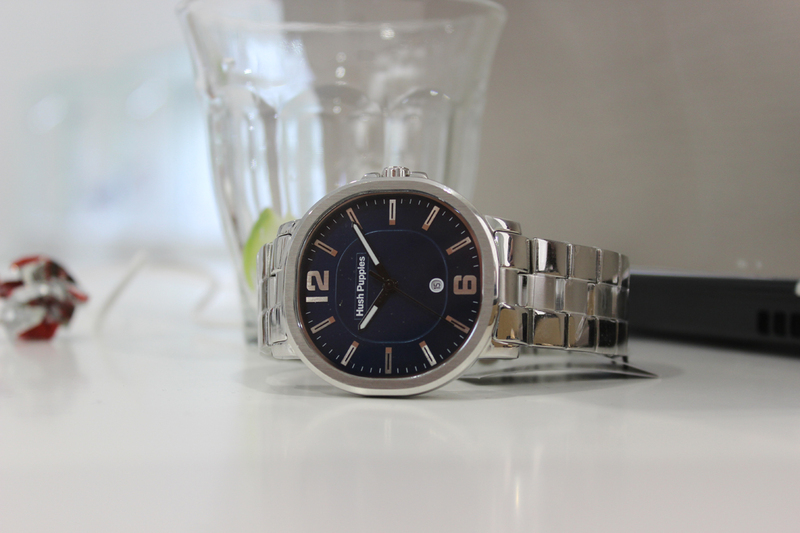 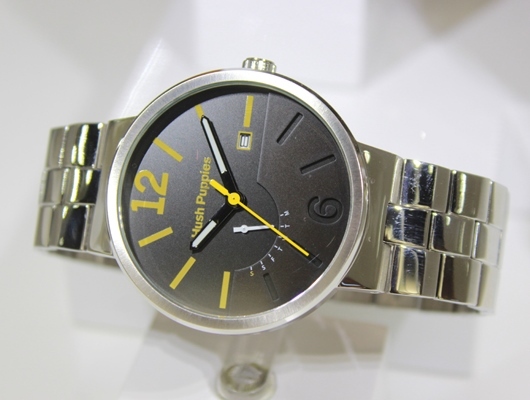 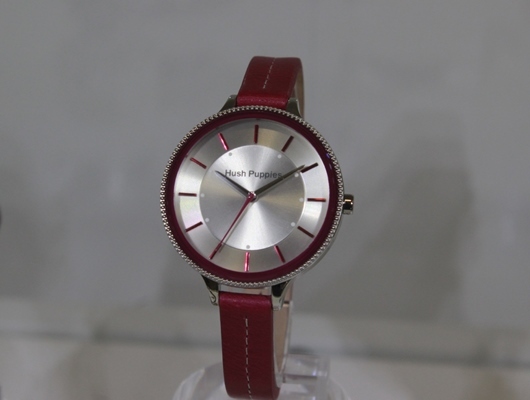 This 40 mm stainless steel timepiece has been equipped with a beautiful black leather strap with cream topstitching. 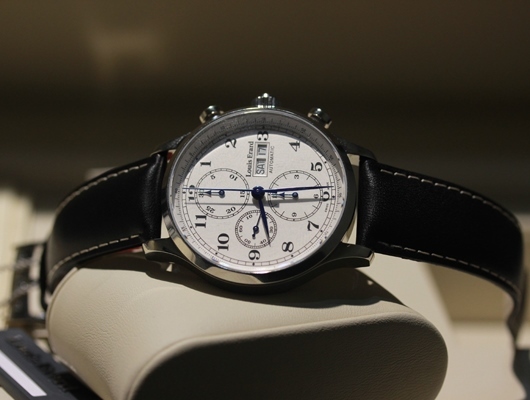 The 1931 Vintage Chronograph 78 225 AA 01 continues the vintage vibe with a fabulous silver-toned chronograph dial that provides the perfect contrast for the traditional blued steel hands. 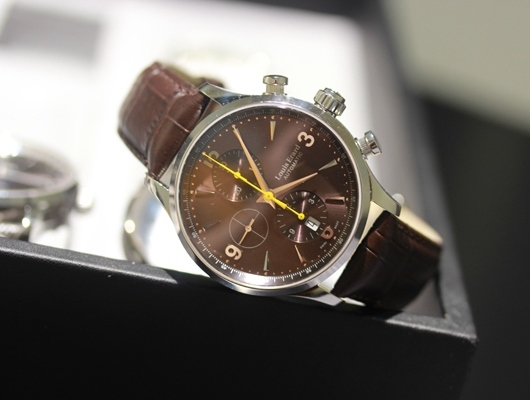 The 42.5 mm chronograph features 12-hour and 30-minute totalizers, along with a free running small seconds sub-dial at 9 o’clock. 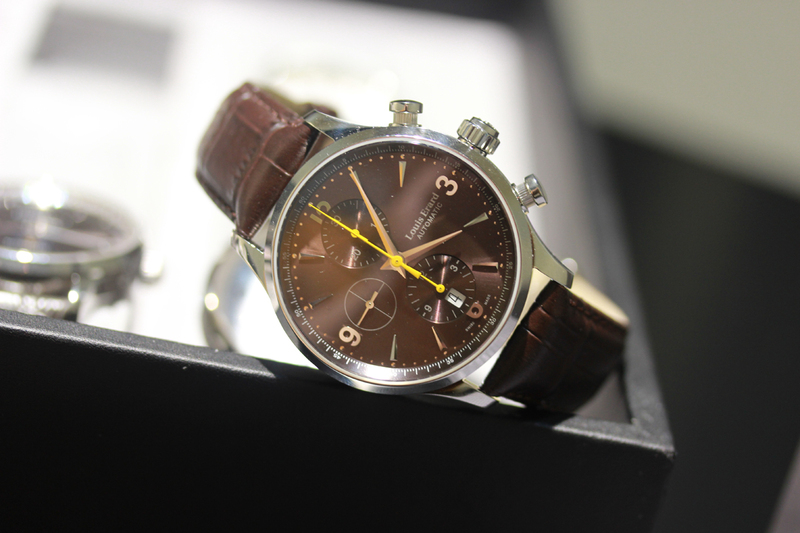 A Swiss made ETA 7750 Valjoux automatic movement powers this superb vintage inspired chronograph watch. 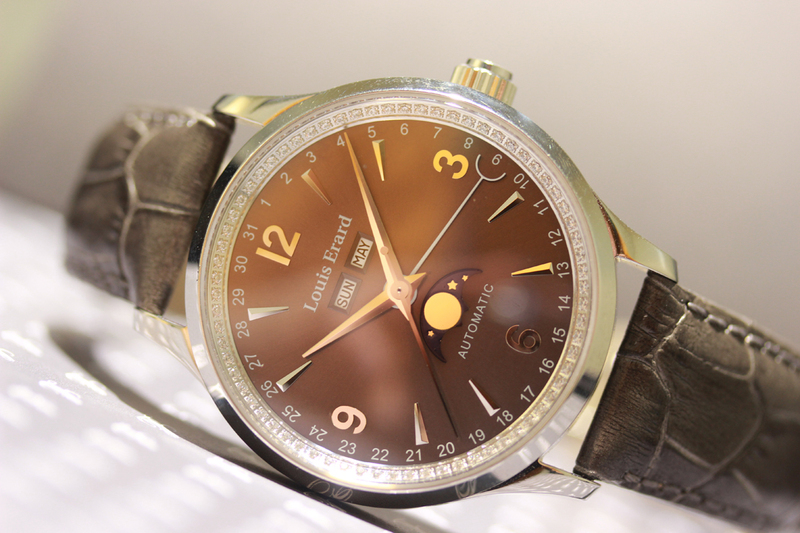 The superb new 42 mm Men’s Moon Phase caught visitor’s attention with a central pointer-style hand to indicate the day of the month on a chapter ring scale. 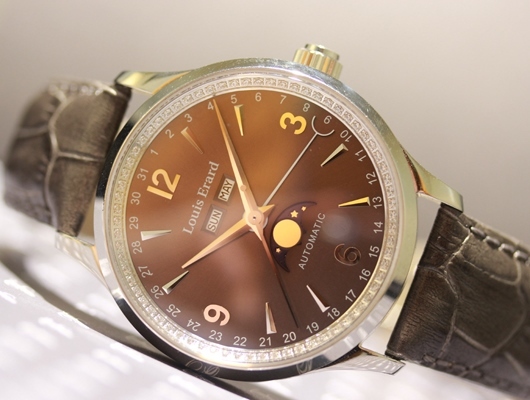 The watch features a beautiful moon phase indicator at 6 o’clock and even comes with a set of matching moon phase cufflinks. 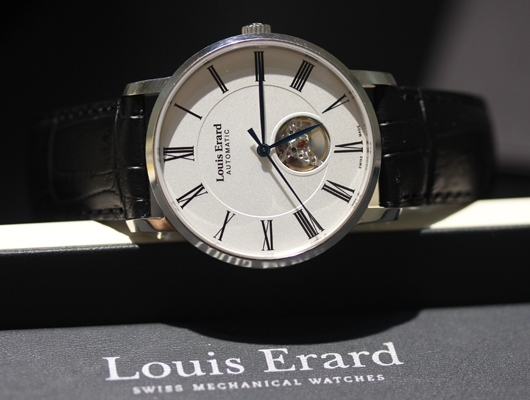 Powered by an ETA 2824 automatic movement, coupled with a Dubois Dépraz 9000 module for the moon phase complication, this special edition timepiece is the embodiment of Louis Erard’s commitment to craftsmanship and traditional values. 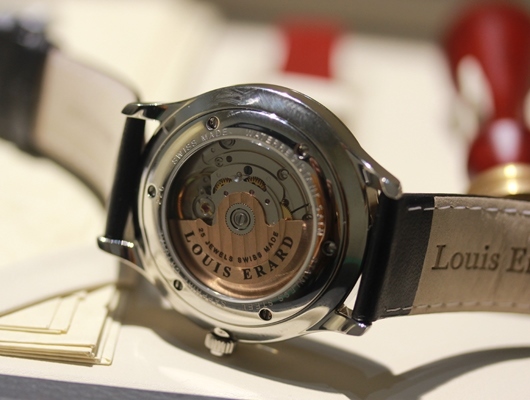 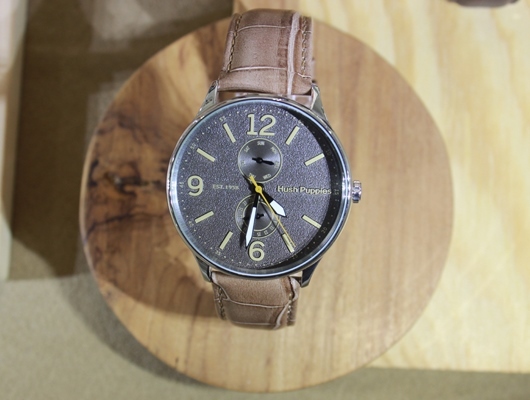 Other new Baselworld introductions included a beautiful 40 mm Open Heart model powered by a Soprod SOP A10BV-2 automatic movement, and a hand-wound 40 mm Regulator Power Reserve model powered by a ETA 7001 RE movement with an in-house power reserve complication. 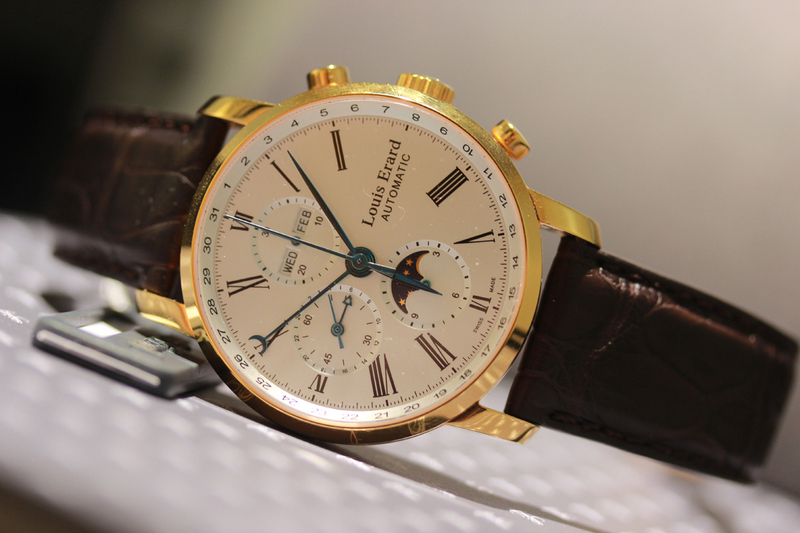 The star of the show was a spectacular 42 mm 18K pink gold moon phase chronograph with 30-minute and 12-hour totalizers and a moon phase indicator at 6 o’clock. 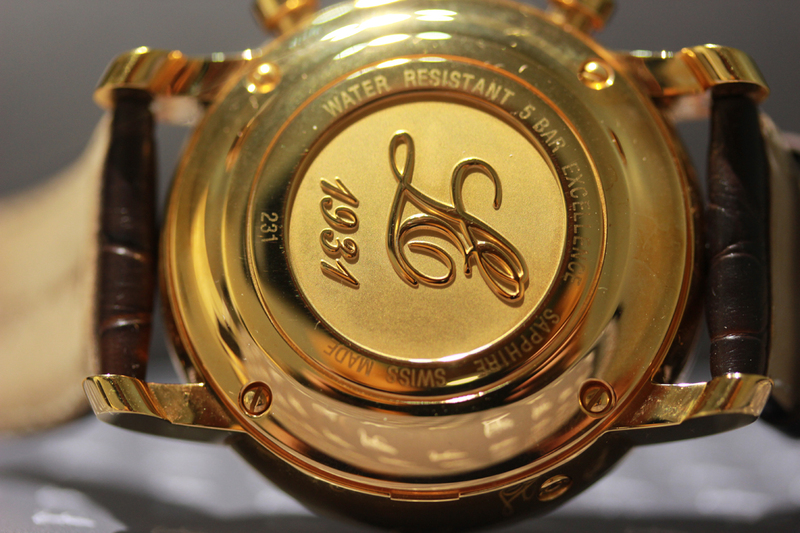 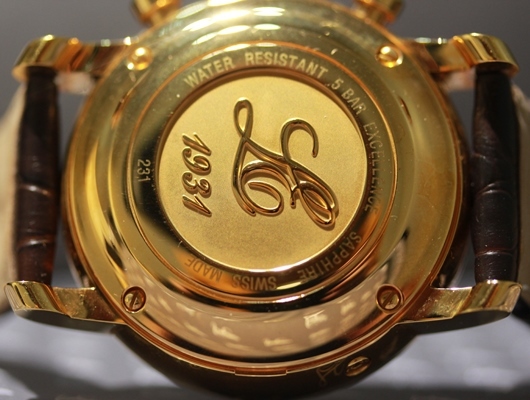 The lustrous 18K pink gold watch has been fitted with a genuine crocodile strap with a matching 18K gold pin buckle. 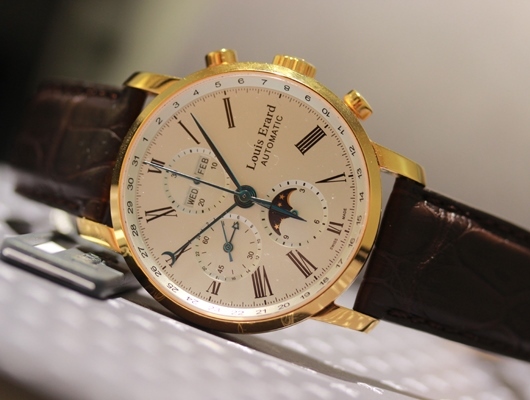 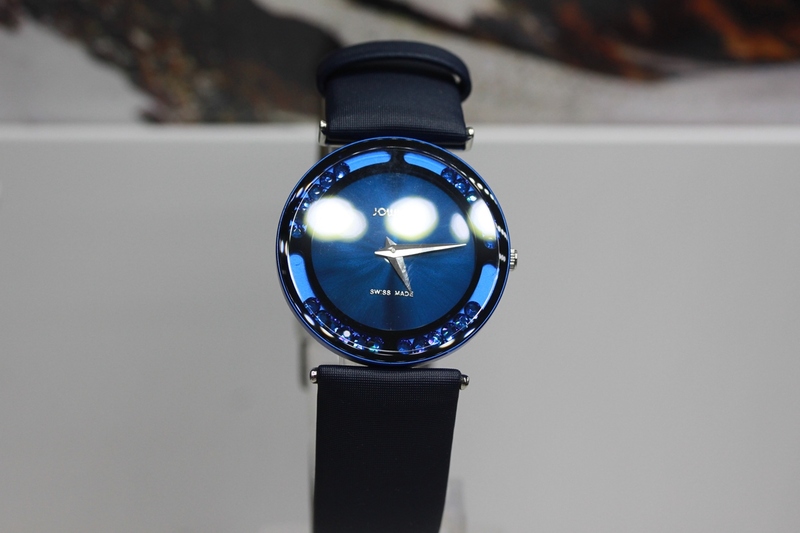 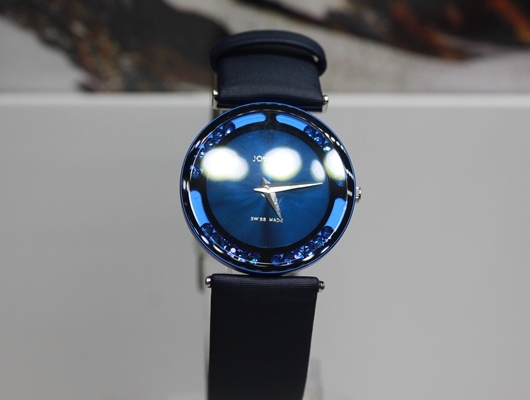 Louis Erard also introduced new quartz powered Romance models for women in an effort to compete with popular fashion brands and offer a wider variety of timepieces in the important mid-tier price point. 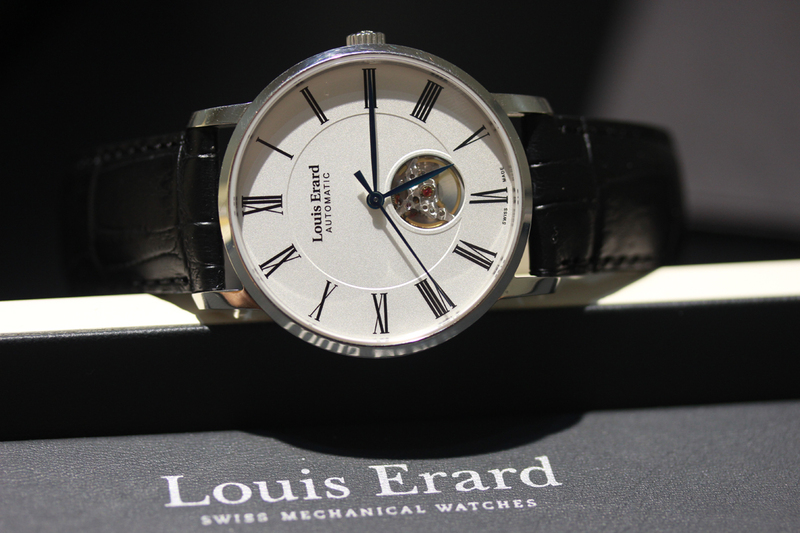 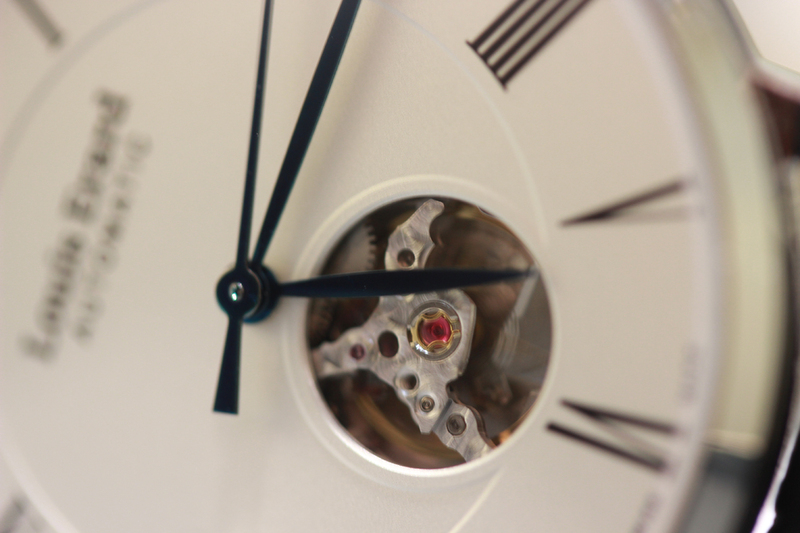 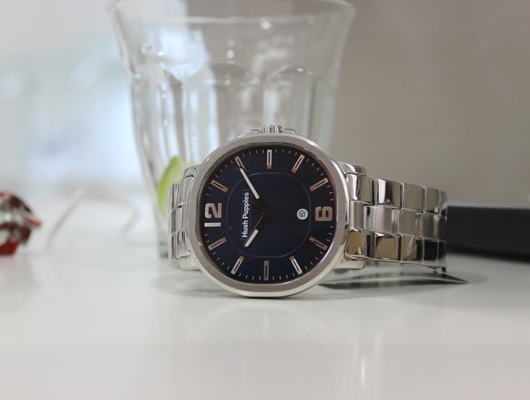 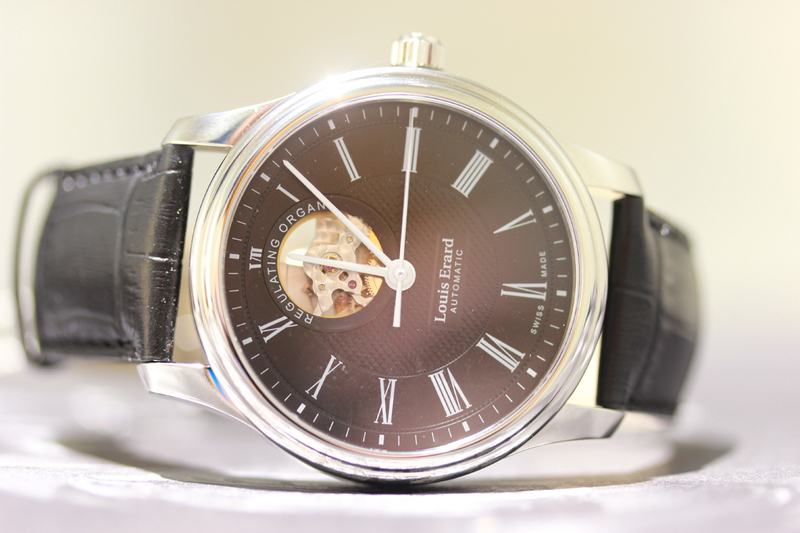 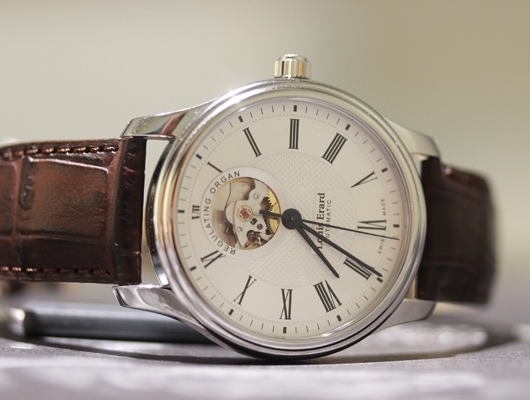 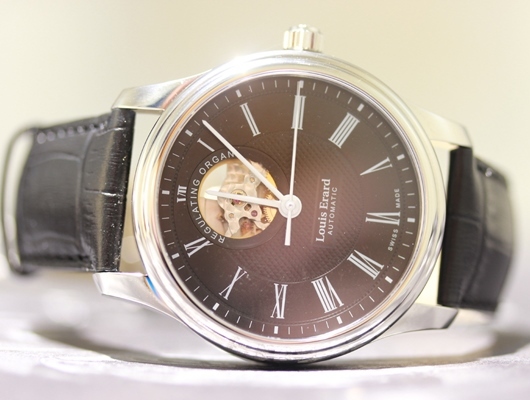 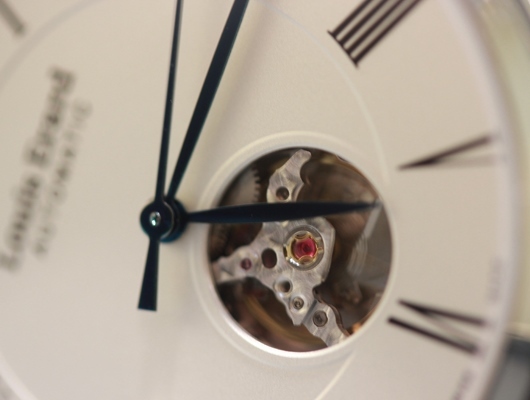 It is clear from the reactions of Baselworld visitors that there are still a lot of people who appreciate Louis Erard’s unique combination of old world Swiss craftsmanship and affordable pricing. 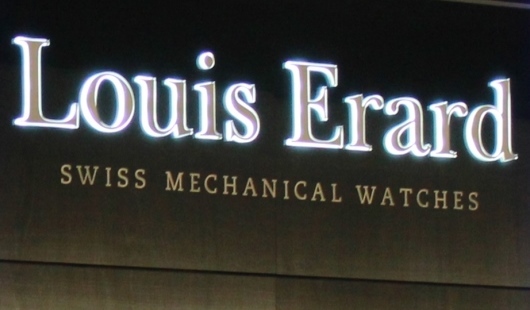 With 2014 production scheduled to exceed 200,000 watches for the first time ever, Louis Erard is on the threshold of becoming a major name that resonates far beyond the confines of Baselworld.